Two little letters can change a word dramatically, such as adding -ly to the adjective quick changes it to quickly, an adverb! 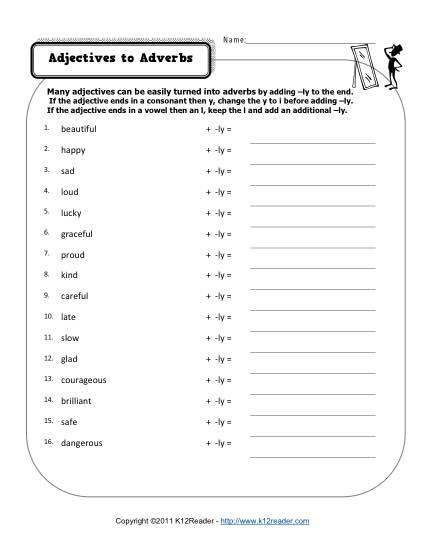 In this worksheet, your student will turn adjectives into adverbs. It’s good practice for 2nd and 3rd grade Language of Common Core Standards. Other students in other grades may also find it helpful.